Absorbent dressings are super absorbent wound dressings designed to treat highly exuding wounds and protect them from exposure to the environment. They are capable of retaining large amounts of exudates and preventing bacteria from entering the wound. Absorbent dressings stay dry and comfortable and do not require frequent change. These exudate-absorbing dressings maybe used as primary or secondary dressings to manage surgical incisions, burns, lacerations, abrasions, venous leg ulcers, skin ulcers and associated conditions. 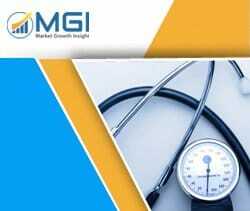 This report studies the global Absorbent Dressings market status and forecast, categorizes the global Absorbent Dressings market size (value & volume) by manufacturers, type, application, and region. This report focuses on the top manufacturers in North America, Europe, Japan, China, and other regions (India, Southeast Asia). Focuses on the key Absorbent Dressings manufacturers, to study the capacity, production, value, market share and development plans in future. Regional and country-level analysis of the Absorbent Dressings market, by end-use.